We had a fantastic time on Tuesday at gardening club. We welcomed Suzie Hartley, Senior gardener from Audley End to help us identify the weeds from the plants in our raised beds which had completely overgrown over the summer! 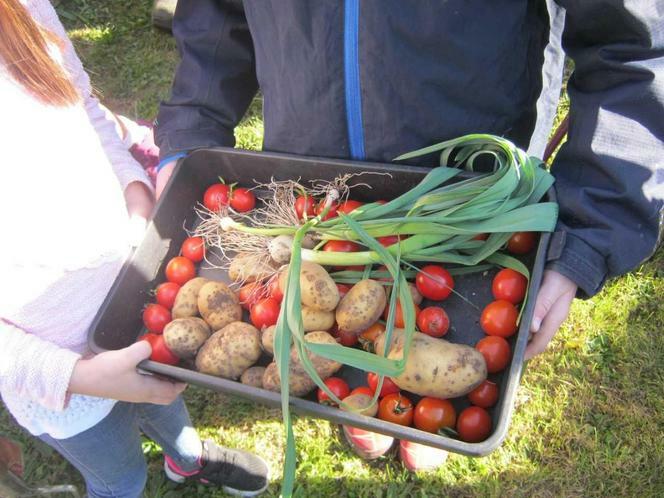 We also harvested our squashes, tomatoes, spring onions and even found some leftover summer potatoes - all of which we donated to the kitchen to turn into delicious salads and pies the next day. 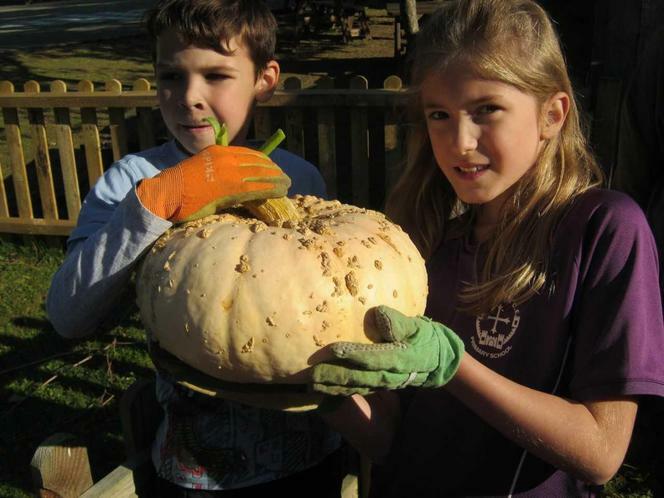 We are saving our largest squash for a Halloween carving project and may even make some cakes from the leftovers. Lastly, we are on the hunt for some hardy plants to put in the pots at the front of the school so if anyone would like to donate any heather or lavender it would be much appreciated. Also, if anyone has any bulbs they would like to donate then we would love to plant them in the boxes in the playground.